Have you been told that you are double-jointed? The ability to move your extremities beyond regular limits or boundaries is known as ligamentous laxity. But, what is ligamentous laxity? 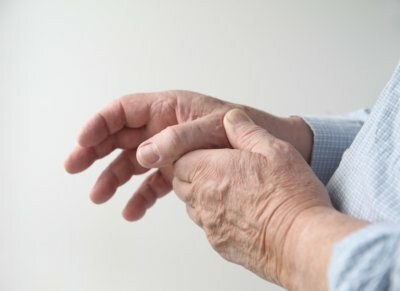 This condition often affects the joints of the fingers, wrists, elbows, shoulders, and knees. Ligamentous laxity symptoms include loose joints, hypermobility syndrome, and joint laxity conditions. We will look at the particular causes of this condition, as well as treatment options. As children, our joints can hyperextend as the connective tissue is developing. Ligamentous laxity conditions that seem to be harmless in childhood can cause chronic pain and suffering after years of use. Many cases of loose joints diminish as the person ages, while others can reoccur after the age of 40. Generalized joint hypermobility is a disorder that affects all the joints in the body, and it is often seen with chronic fatigue syndrome. Ligamentous laxity is seen in certain developmental and disabling medical conditions such as Down syndrome and Marfan syndrome, which are connective tissue disorders. Loose joints may also be the result of cleidocranial dysostosis, an inherited disorder affecting bone development. Other inherited disorders include Ehlers-Danlos syndrome, which affects the elasticity of the ligaments and Morquio syndrome, which affects the body’s metabolism. Persistent numbness or tingling sensations. A ligamentous laxity diagnosis is determined by evaluating the range of motion of the joint. You can check it yourself by bending a finger backwards; an angle of 90 degrees with no distress confirms loose ligaments. Medical tests usually start with a Beighton score test. Although some cases of ligamentous laxity may not score on the test, for the most part, the ability to hyperextend joints is based on a numbering score. Add one point for each knee and elbow that bends more than 10 degrees; one point for each thumb that bends backward to the forearm; one point for each fifth finger bending more than 90 degrees backward, and one point for flat palms on the floor with knees straight. A total of five or more points confirms ligamentous laxity. Other signs may show symptoms of joint hypermobility syndrome or a connective tissue disorder. Further testing may be required to confirm a diagnosis, which may include an ophthalmologic or an echocardiogram. Treating ligamentous laxity will depend on the extent of the loose joints, as well as the severity of any existing symptoms. Most serious cases involve strengthening the muscles, the use of pain relievers, and physiotherapy to use ligaments in a controlled manner. Surgery is done as a last resort to repair damage or injury caused by loose ligaments. People with conditions linked to Down syndrome, Ehlers-Danlos syndrome, and Marfan syndrome are not surgical candidates. Ligamentous laxity is a common condition characterized by the ability to move limbs beyond the normal range of motion. People with this condition are known as double-jointed, and can easily perform motions with smooth and painless movements. It is mainly seen in many children, and the majority will outgrow this ability to overextend the joint regions. Some cases present chronic pain and damaged ligaments over time. Whether it is inherited, a result of an injury, or improper growth development, ligamentous laxity comes with risks of osteoporosis and irreversible ligament damage. Treatment exercises and therapy focus on controlling joint movements and relieving any pain.